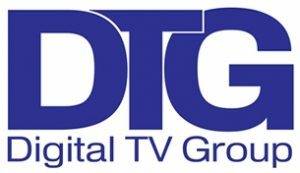 The DTG has published the 6th edition of its free R-Book for aerial system installers fitting Freeview and all other DTT-based platforms, with practical advice on interference mitigation and the latest industry guidelines. R-Book 6 has been produced by the DTG RF Working Group, led by the DTG’s Principal RF Engineer, Alex Buchan, and broadcast transmission and reception consultant Peter Barnett of the CAI (Confederation of Aerial Industries), at the request of Ofcom, the UK communications regulator. It is the first update to the R-Book series since 2005, and covers subjects such as DVB-T2, Local TV, TV White Space and the future of DTT, as well as ensuring installers are prepared for the expected clearance of TV services from the 700MHz band later this decade. The complete R-Book 6 is available to download at no cost from the DTG and CAI websites, and will be accompanied by a quick reference field guide. This will be sponsored by Alltrade and distributed to the industry by Alltrade and the CAI. Alex Buchan, DTG Principal RF Engineer, said: “The television has undergone a technical transformation since 2005, including the migration from analogue services and the introduction of DVB-T2 technology. R-Book 6 has been approved by the Technical Committee of the CAI, the DTG’s DTT Platform Steering Group and the DTG Council, to ensure it will support and prepare the installation industry for future spectrum changes, including how to deal with the impact they could have on working practices. The R-Book 6 field guide will be distributed by aerial trade supplier Alltrade through its annual catalogue delivery, trade counters, and trade shows, while the CAI will also distribute it at events over the coming year.